Head of main opposition party calls on PM to launch immediate investigation into identity of official in case of Trump campaign manager. Labor Party Avi Gabbay called on Prime Minister Binyamin Netanyahu to immediately open an investigation into claims that an Israeli official helped US President Donald Trump's former campaign manager Paul Manafort to lobby the US government on behalf of a Ukrainian official. “As the person who in practice is entrusted with the foreign service and the protection and security of the country against espionage from a foreign company, it is required of you to immediately begin a process of checking and investigation, to clarify if there is a foreign agent in the civil service and if indeed he used the Israeli foreign service for the benefit of advancing foreign interests," the leader of Israel's main opposition party said. Manafort plead guilty on Friday to charges of conspiracy against the US and conspiracy to obstruct justice in relation to plant a story in the American press accusing a Ukranian politician of anti-Semitism on behalf of former Ukrainian president Viktor Yanukovych and the pro-Russian Party of Regions. 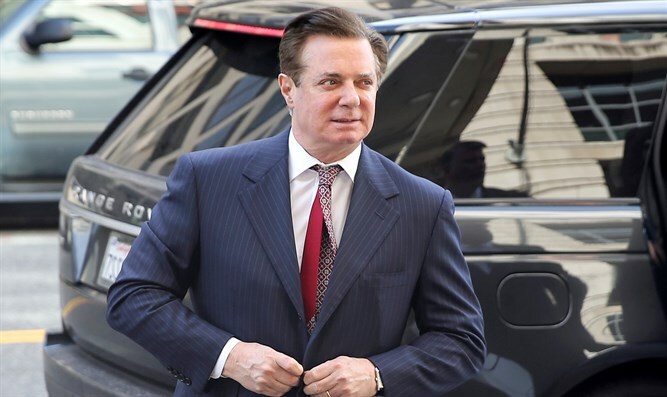 Prosecutors stated that an Israeli official assisted Manafort in attempting to smear the politician in order to convince Jewish Americans to pressure the Obama Administration to support Yanukovych against his political opponents. The false story smearing the Ukrainian politician was never published.